Size: no.435: 35.0mm W x 18.6mm H; no.436: 24.5mm W x 14.0mm. Comment: The beef pastrami was packed in a polythene tray which was hermetically sealed with a polythene film. 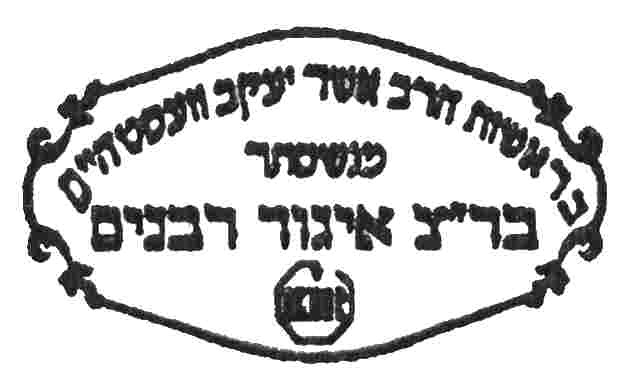 The small hechsher, no.436, was attached to the polythene film. The large hechsher, no.435, was part of the package label (10.8cm x 12.8cm) which was glued onto a "snap-on" lid intended to seal the tray and its contents after the film seal had been removed. 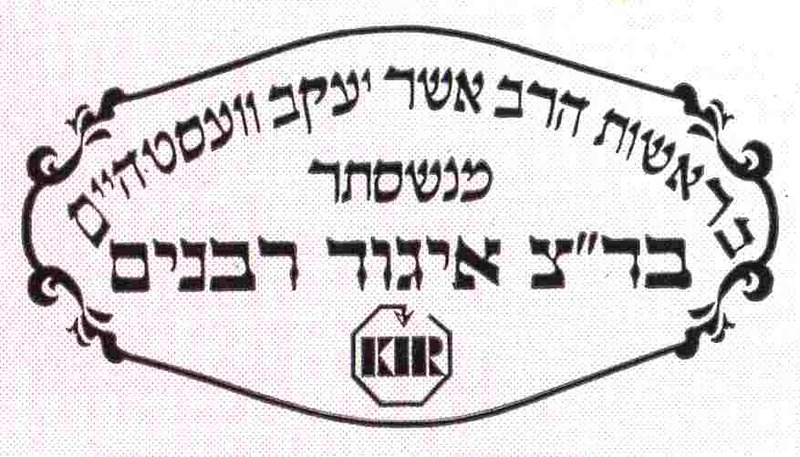 Note the octagonal KIR hechsher which forms part of the design.